How gay is Karan Johar? What’s wrong with Karan Johar. 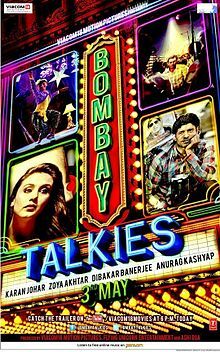 I am sensitive towards gay issues but then his latest direction in Bombay Talkies is such an overkill. And, wasn’t the movie about Hindi cinema. So where was that in his gay story. I am sorry Karan Johar, may be I am dumb, I didn’t understand. Can you help? Dibakar Banerjee‘s and Anurag Kashyap‘s stories were touching and good representation of love of Bollywood and how it is a part of our daily lives. Well, Karan Johar you are doing good but stop your obsession with gayism. Don’t make it a mission to change Indians perception about this issue. Do it subtly, don’t rub it in our face.